Do Kids Really Learn From Playing Educational Games on Tablets? Last night while helping my 8-year-old son do his weekly spelling homework, my 5-year-old, always looking to divert attention his way, told me he'd learnt how to write the letters A and Z while playing an alphabet and phonics learning game on my tablet. "Would you like me to write the big or little A for you?" he asked grinning with self pride. Until recently, there has been little empirical evidence to answer the question everyone's asking about whether these educational Apps kids love playing really do teach them anything. But now there is hard evidence they do. Click here to read the full article. If it seems like your kids are constantly plugged in, tapping away on their iPhones, obsessively gaming and SnapChatting way more than they're actually ... chat-chatting -- well, that's because they are. It's estimated that children ages 8 to 18 spend an average of seven hours a day behind screens; teens send an average of 3,417 text messages each month; and 97 percent of adolescents have at least one electronic device in their bedrooms. What's just as scary as how much time kids spend on screens is the effect it can have on their health. Their backs and wrists are sore, theirsleep is disrupted and their attention spans are diminished. While it would be impossible to rid your kids' lives of technology completely -- and you wouldn't want to, because of its many joys and benefits -- parents can take a few measures to help prevent its negative mental and physical side effects. Here are some ways screens may be harming your kids' bodies and what you can do about it: Click here to read the full article. 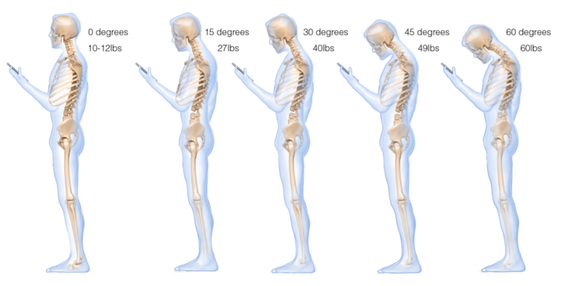 A new study suggests that looking down at a cell phone is the equivalent of placing a 60-pound weight on one's neck. Click here to read the full article. Next-generation apps that let users text, video-chat, shop, and share their pics and videos are attracting teens like catnip. Click here to read the full article. Sylvia Hart Frejd doesn’t mince words when it comes to the amount of time people spend in cyberspace. In fact, she calls Internet addiction disorder a “national crisis.” Click here to read the full article. This article highlighted two things for me (Evelyn) - the fact that so many new jobs require technology skills and the fact that the job market is changing quickly and schools have to teach students broad fundamental skills that will serve them well. Click here to see the infographic. The old saying "Do as I say, not as I do" could not apply more to adults when dealing with kids and technology. Modeling is so important, and when it comes to digital life, adults set the bar pretty low for their kids. Click here to read the article. Navigating the ever-changing landscape of tech/human connectivity can overwhelm even the savviest of techies and frazzle even the most zen amongst us. Click here to read about 10 rules to guide you toward digital happiness. CHICAGO, June 27, 2013 – While your social media profile can be a great asset in your job search, a new CareerBuilder study shows it can also end up costing you the job. More than two in five (43 percent) hiring managers who currently research candidates via social media said they have found information that has caused them not to hire a candidate, up 9 percentage points from last year. Click here for the full press release. 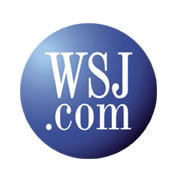 Is your teenager or grandchild putting your financial security at risk online? While it can be handy to have a tech-savvy younger person in the house, it also can make your financial and personal information less secure. The best and latest antivirus software won't help much if someone is downloading virus-laden computer games and fake iPad apps for "Fruit Ninja." Read Me an E-Book Story? Could Those Hours Online Be Making Kids Nicer? A smart parent's guide to managing kids' technology. Indelible Link, will be a useful tool for ISTE members and other education technology supporters as we collectively advocate to ensure students are provided the technology and information skills and tools necessary for success in the 21st century. How Does Technology Influence Student Learning? effects on student learning as determined by the Center for Applied Research in Educational Technology (CARET). Computer science majors increased 7.6% across the country from 2009 to 2010, the most recent available data, according to the Computing Research Association. "Computing now penetrates into just about every line of business and academic discipline," said Zhigang Xiang, chair of Queens College's Computer Science Department. "It's hard to find one field where you don't need it." "People certainly realize [computing] is now getting to be a basic skill in the 21st century," Mr. Xiang said.